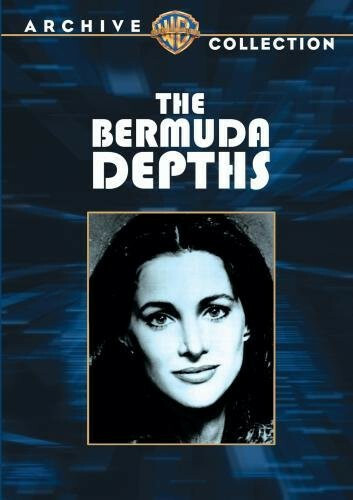 Traumatized, orphaned college dropout Magnus Dens returns to Bermuda to find the cause of his father's mysterious death years before. At the Bermuda Biological Station, he finds Eric and Dr. Paulis, friends and colleagues of his late father, and joins them on a quest for gigantic sea creatures. He also meets Jennie Haniver, a mysterious young woman who was once his only childhood friend. Dr. Paulis' housekeeper, an island local, warns Magnus that Jennie is dangerous. The beautiful but vain young woman had sold her soul with the Devil centuries before and lives forever young deep in the waters of the Devil's Triangle (a.k.a. Bermuda Triangle). Nobody heeds the folklore and the researchers trap the giant sea turtle, setting the stage for a deadly confrontation with both minions of the Devil. Regions are unavailable for this movie. Click the "Watch on Netflix" button to find out if The Bermuda Depths is playing in your country.